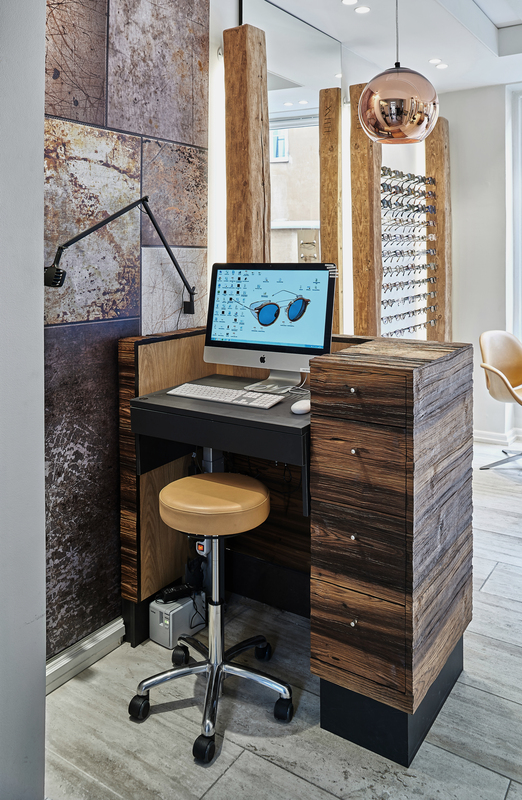 Total interior design for optician in the Latin Quarters of Aarhus. A close collaboration between the business owner and our own architect. 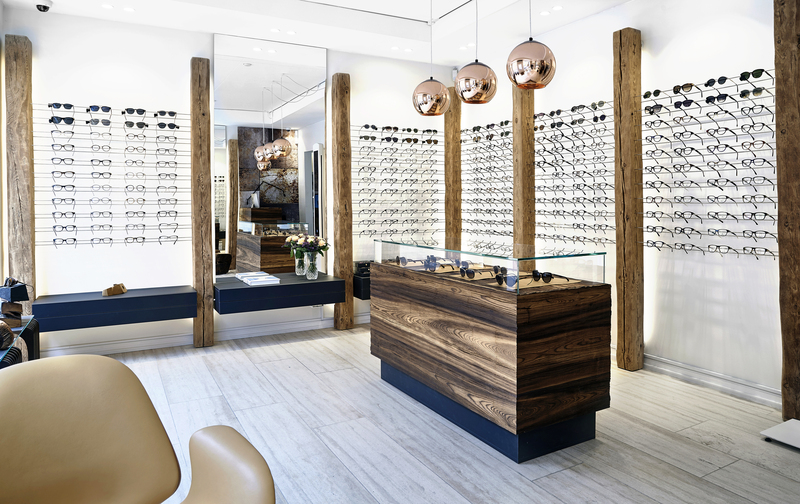 Based on the idea of the polished beams from a stable, alongside the walls, carrying the display of the sun shades, our architect, Anne Kamp, has designed the entire inventory for the shop in close cooperation with the carpenters. 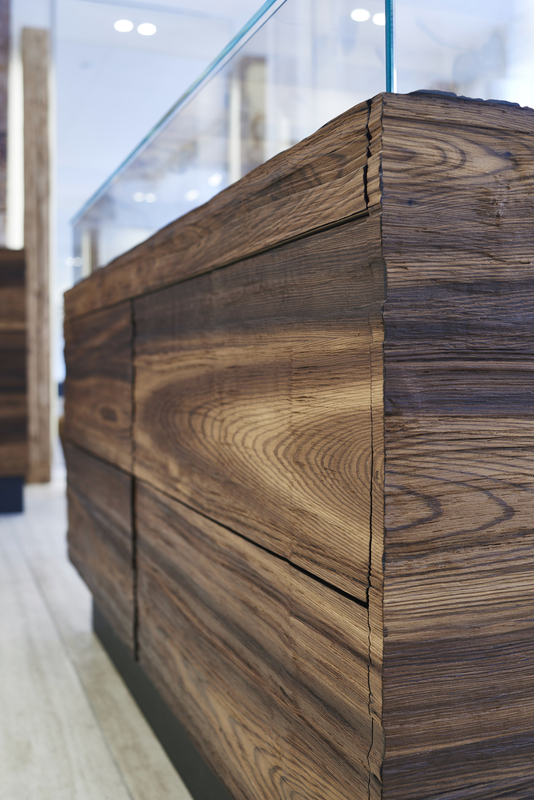 Here, both desk and work table are made of lark wood. 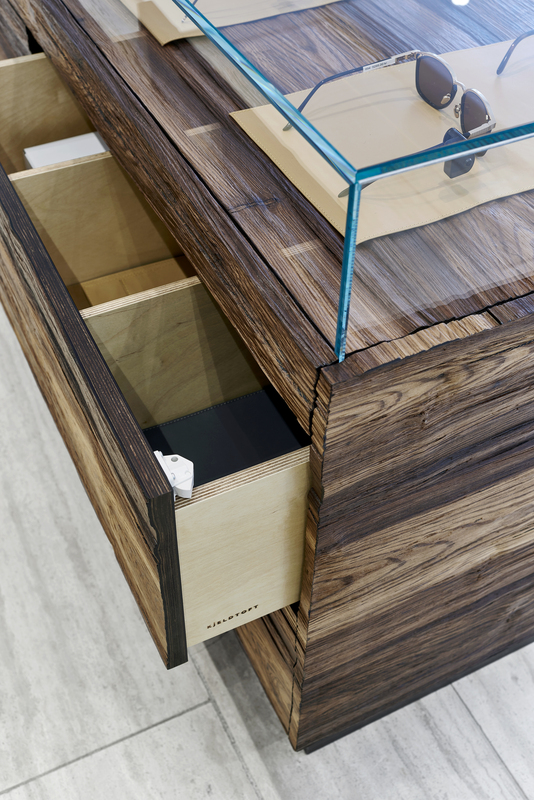 The desk has a glass top for display of sun glasses and hidden drawers with a secret opening mechanism. 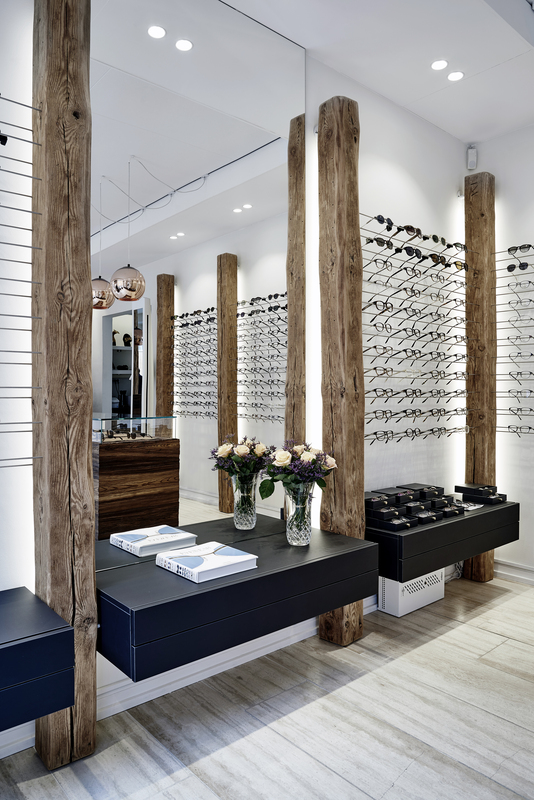 The steel poles on the beams have been customised to fit the exact weight of the glasses. 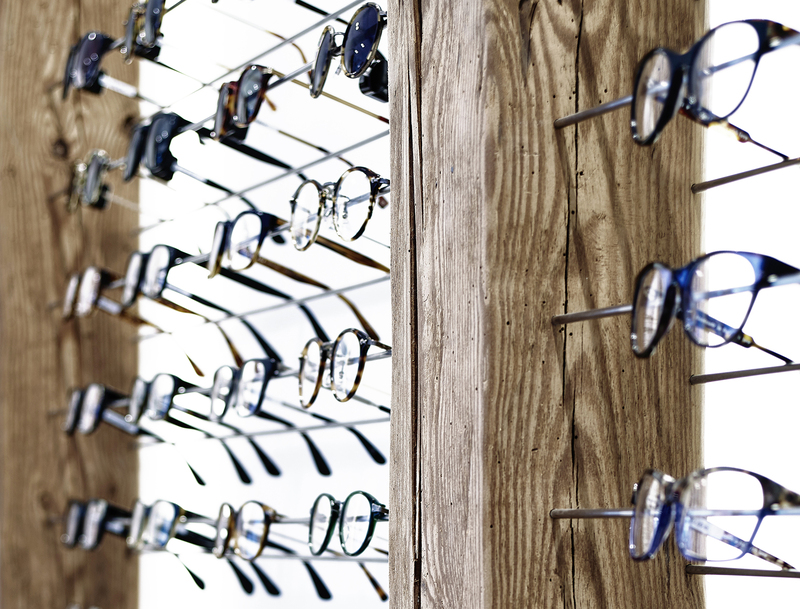 The suspension of the customised drawers for extra glasses has been designed so they appear to hover between the beams giving the shop a light and elegant look and feel. 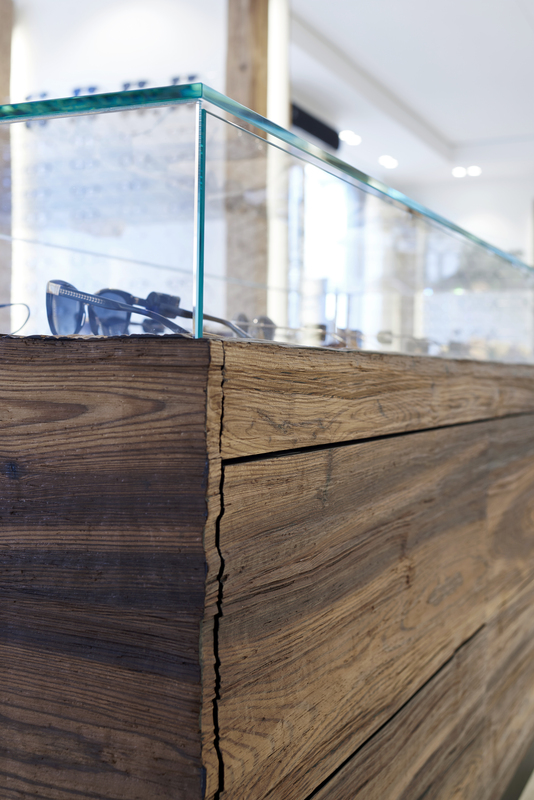 The reception counter works as a glass vitrine for display of exclusive sun glasses. 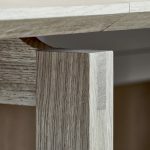 Like the work table, the counter is made of lark wood with a lumpy surface, a bit like a log that has just been split. 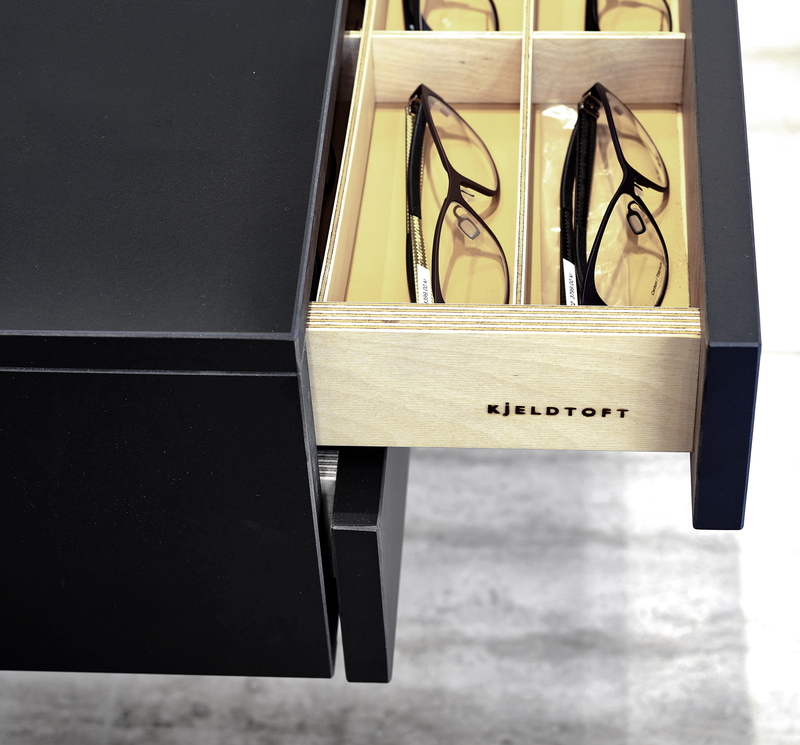 On one side there are drawers for extra spectacle frames. 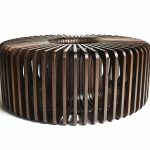 For conversations with the customer, we have designed and produced an oval table on a pillar and along with this, we have supplied two council chairs, designed by Salto/Sigsgaard. The lighting as well as the little table mirror has been custom-made for the shop as well. We cooperate closely with ambitious designers, architects and contractors. 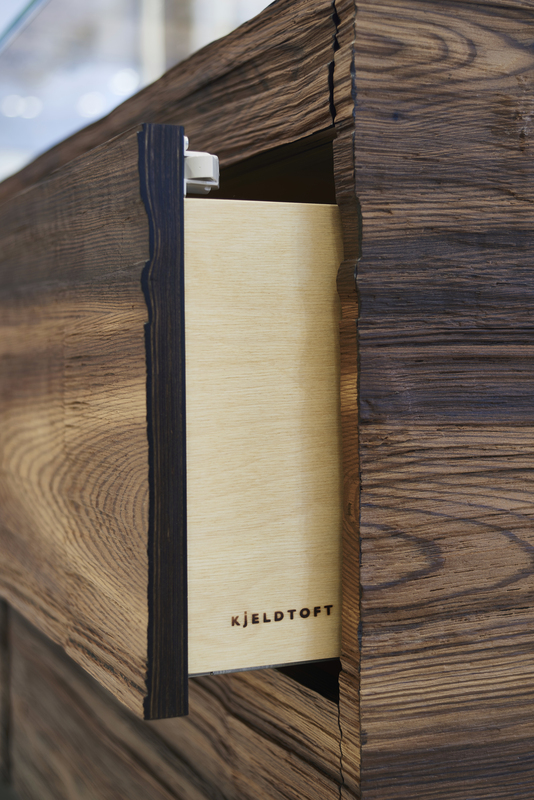 Together with Hanne Eskesen, we have built a buffet desk for the Nordea Estates headquarters in Glostrup. 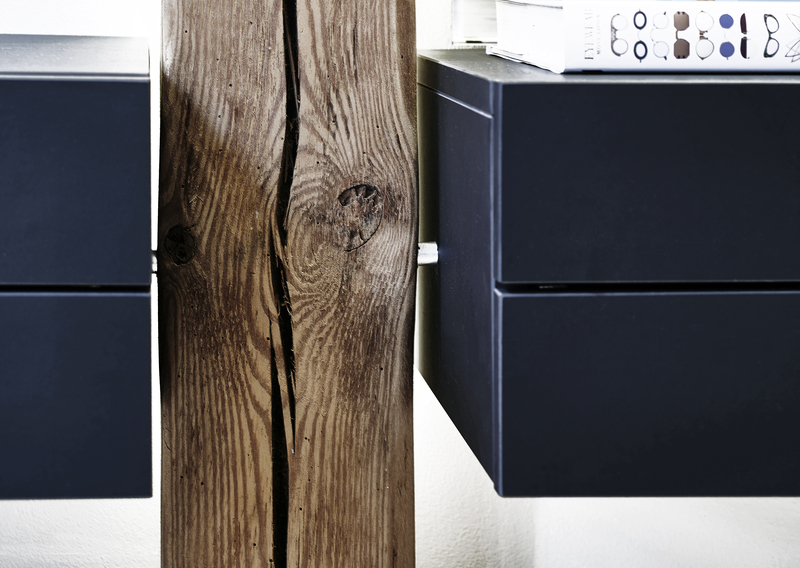 For the architect firm Mejeriet in Kolding, we have made inventory and furniture for the Henne Kirkeby Inn. This includes reception desks, a bar as well as tables in the restaurant and bed side furniture in the rooms. For the company Pressalit, we have redesigned their reception with a nice hidden solution for cords, plastic trays and computers.